TROUSERS – This is a twofer reason. 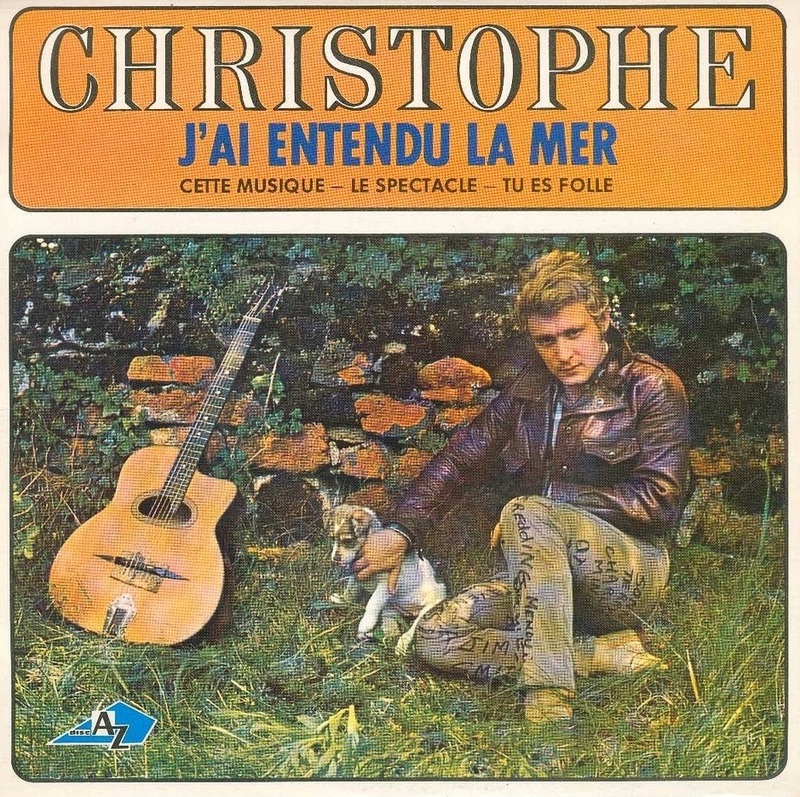 It’s 1966 and there’s handsome Christophe having his photo taken for the cover of his J’ai entendu la mer EP, get this, with writing all over his trousers. So punk *before punk*! He’s got the names of his favourite musicians scribbled in thick black pen all over his legs – Otis Redding, Jimi Hendrix, Charles Mingus, etc But if you think he’s too “dangerous” with his little leather jacket and his anarchistic legwear, he’s petting a tiny puppy dog to show his gentle side. What’s not to love? The two-for-one bit, I’ve not forgotten – the second part of this is that he used to sell Levi’s jeans from the back of his car (when he was allowed to drive, he’s had his licence withdrawn – probably speeding, he likes to drive fast), even though he wasn’t short of a bob or two at all, but lately he has started selling his old jeans (the ones that don’t fit him anymore) at flea markets in the south of France. Who’s ever heard of their favourite pop star selling their jeans on the market?!! I really want some, so long as he writes all over them! 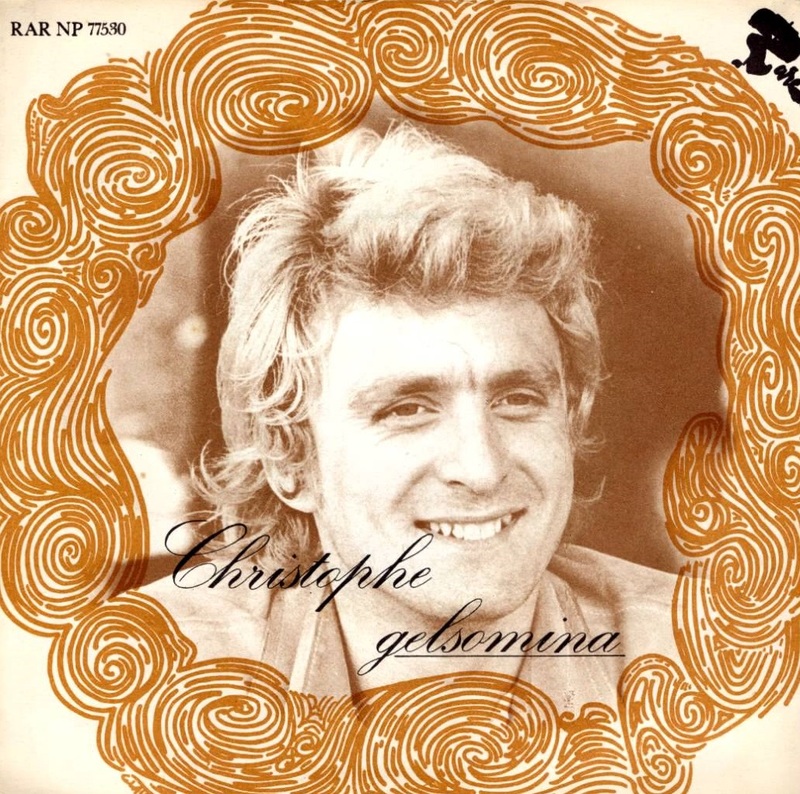 DA-DA SONG / GELSOMINA – This track is mental, it’s 1969 and it’s not long ago that Christophe was singing popular songs on TV for the masses, but he’s doing his own thing now. It’s psychedelic, it’s soundtracky, it’s crazy – I love it! La la la la! 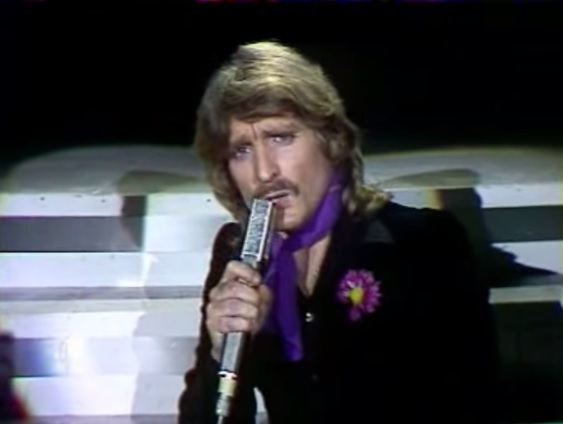 ROCK MONSIEUR – Jump forward a bit to 1973 and Christophe is sounding all Suicide-like before he even knows who Suicide are. 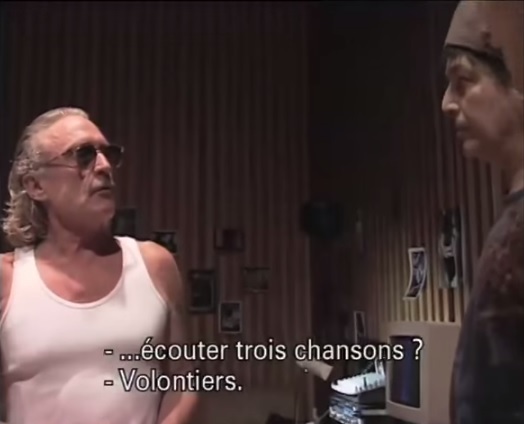 A bit of wordplay – Rock Monsieur, Rock c’est mieux – Rock, it’s better. Lots of repetition musically – that’s not a bad thing, I could listen to this track on a loop; sometimes I do. 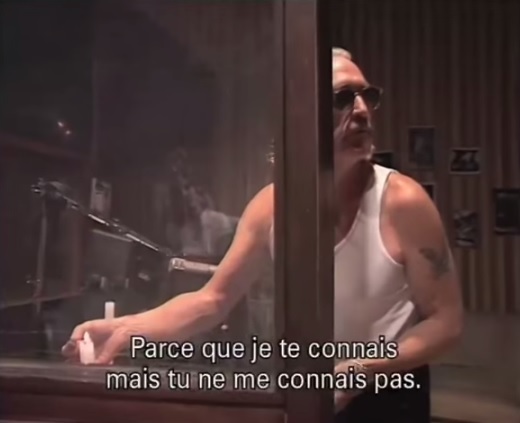 Sounds like an average evening in Christophe’s life – some poker, get in the car, some hedgehopping, drinking too much, having a hard time etc He’s not kidding either, even with the facial hair he is a “joli garçon“, look! 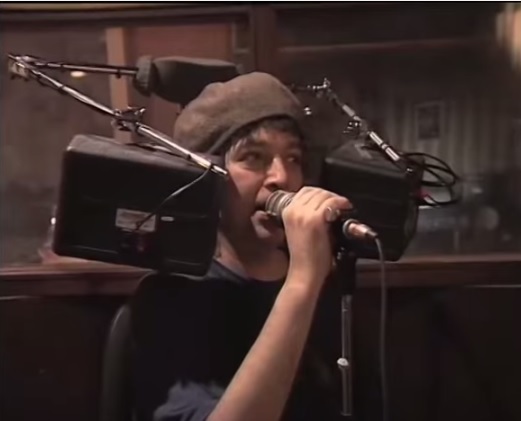 ALAN VEGA – Yes, talking of Suicide, as I was, this leads me on to the next reason. 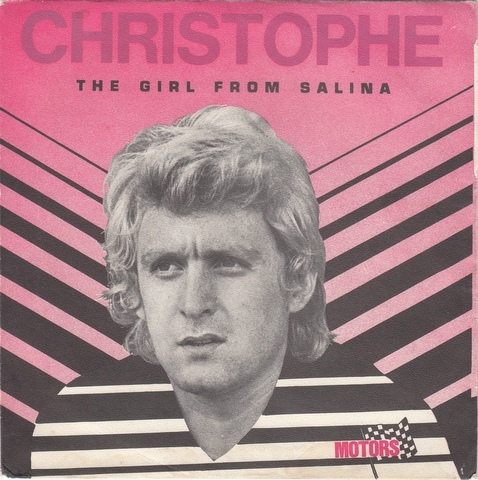 Christophe, yes, the same Christophe who sang songs about puppets and girls called Aline (nothing wrong with any of this) is, believe it or not, a massive fan of Suicide and Alan Vega. 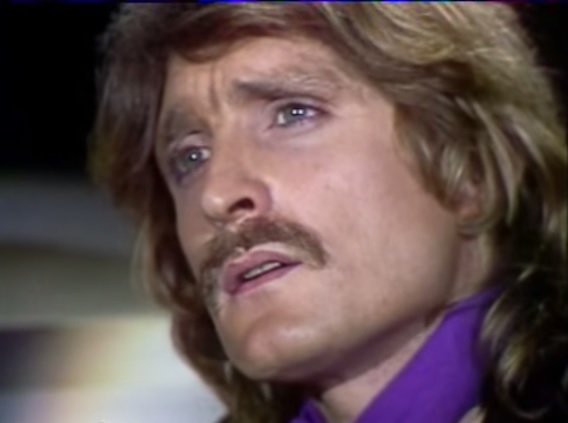 He got into Suicide in 1979 and he’s not turned back since. So, is it any surprise he actually got together with Alan Vega, no, but to see him meeting Alan Vega and asking for a photo together as a souvenir and asking him if he would like to listen to some of his songs, “Because I know you but you don’t know me. 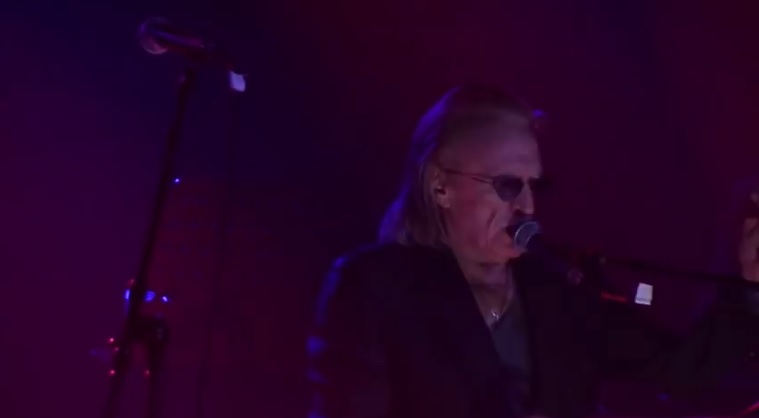 I know you very well”, it makes your heart swell – you can watch the video here. 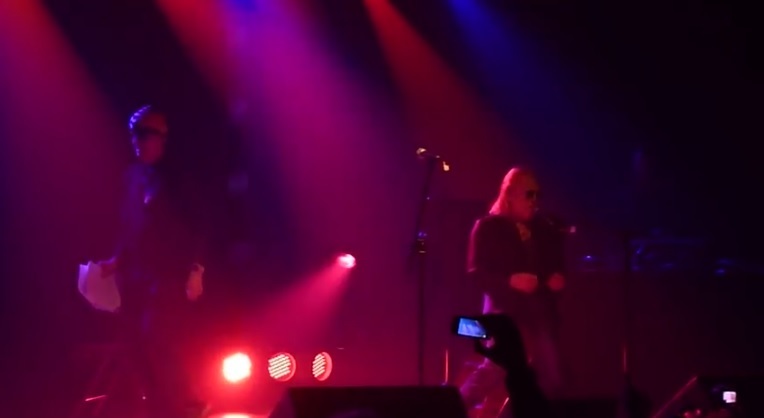 Then he turns up at an Alan Vega gig in 2011 and joins him for a rendition of Saturn Drive Duplex – god knows what Christophe is singing but it doesn’t matter, look out at the end as he kneels in front of Alan Vega in deference and Vega kisses him on the head. Brings a tear to your eye! 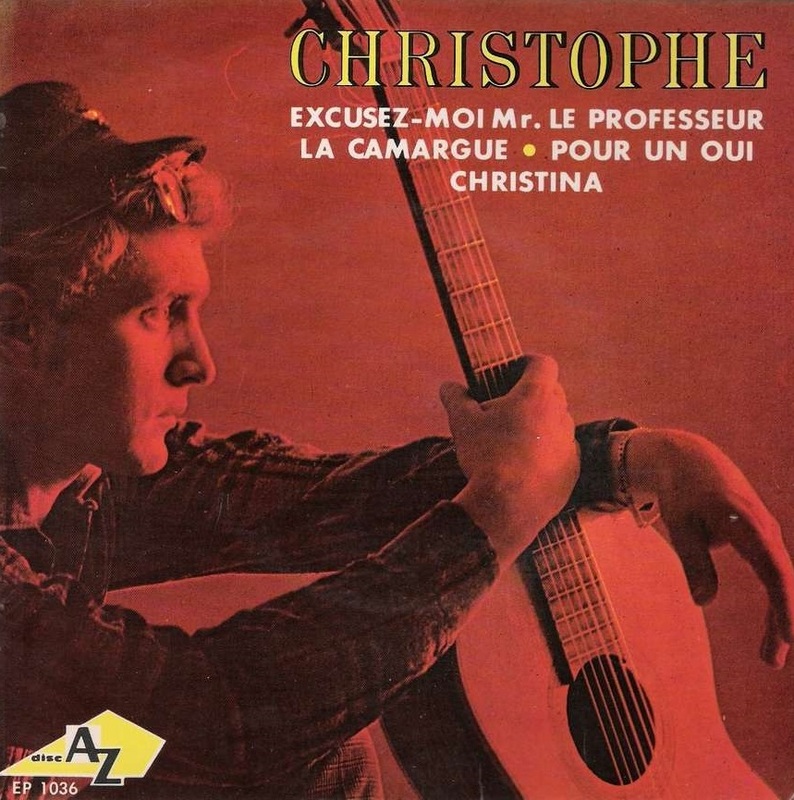 EXCUSEZ-MOI MONSIEUR LE PROFESSEUR – Jumping back a bit, my favourite track from the Salut Les Copains years is this one from 1966. It tells you a lot of what you need to know about Christophe – at school he’s always in trouble because his mind is elsewhere, his pages are all blank in his notebook as he prefers climbing trees instead of doing his work, because he has been told he’s not allowed to climb trees; if he’s absent when they take the register it’s because he got lost on the way to school and he’s been looking everywhere for it through a thousand fields, he’ll try and find it again tomorrow. You’ve got to love him for that, he’s supposed to be a positive role model to the SLC kids and he’s saying lessons aren’t the most important thing in life. He’s a rebel in a little checked shirt, sigh! COLLECTIONS – Christophe is a fan of “stuff” and he collects loads of things. He loves jukeboxes and even had his own exhibition of jukeboxes once; he’s a specialist and a connoisseur. 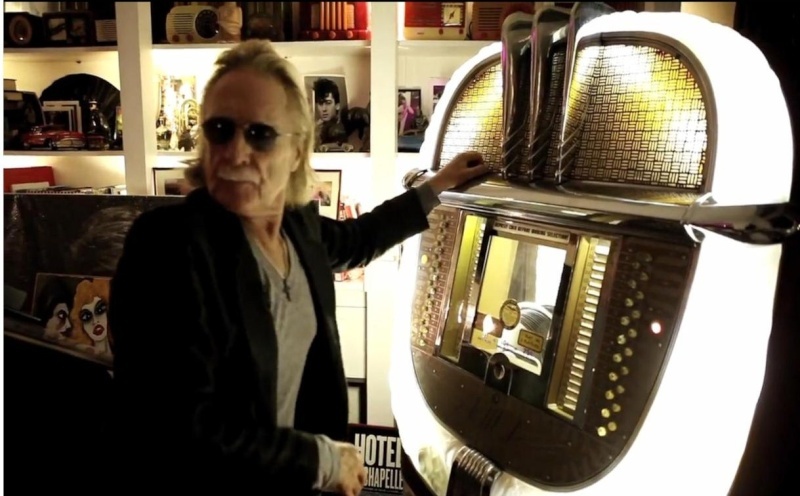 He used to import jukeboxes for his friends from the music industry. He’s an all-round “hawker”. He also collects 78 records, which he trades with other collectors, and he used to collect expensive cars too. I believe he has a fabulous robot, which I want to see. I want an invite over to his apartment to check out his stuff. Ideally he would screen a film too and make me some food, but maybe I’m pushing it for a first visit, ha ha! 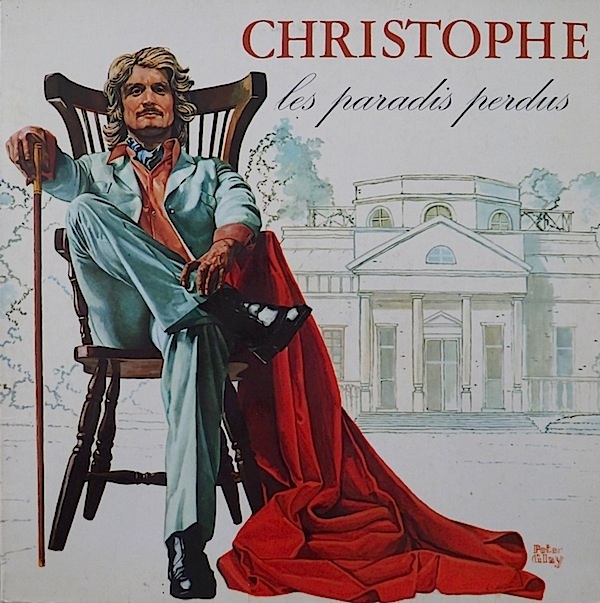 If you want to know anything more about Christophe, I recommend that you read the fabulous biography by Christian Eudeline – Portrait du dernier dandy. It’s one of the best biographies I have ever read. Hi there. 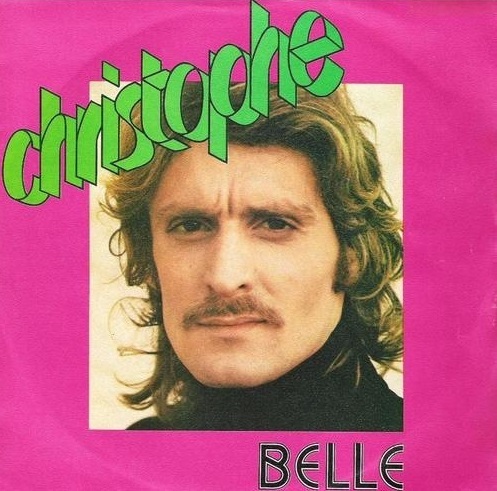 I am a huge Christophe (Daniel Bevilacqua) fan. I don’t speak French but I am trying to learn. 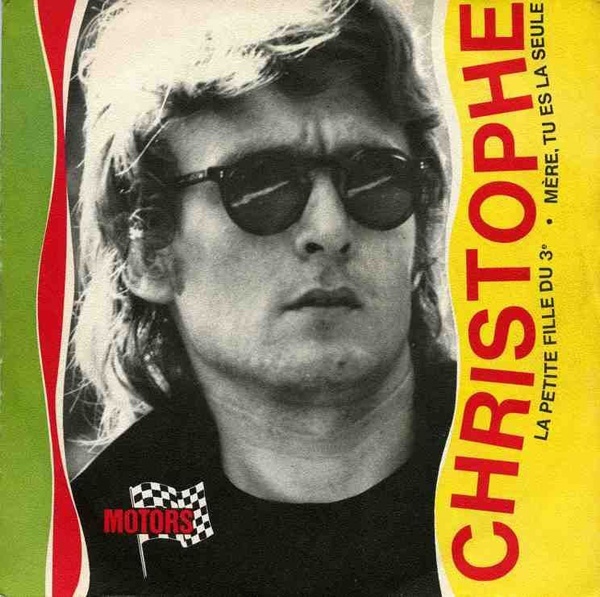 I live in the U.S.A and I was wondering if there is any chance that the biography of Christophe has been interpreted in English? Also how would I buy one (even if it is only in French) as I only have American currency. 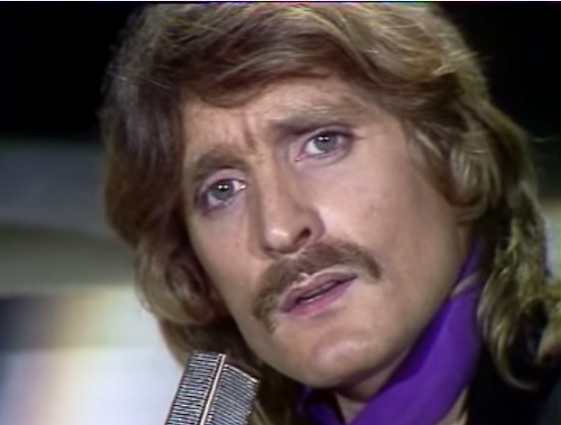 Thanks for all the cool Christophe stuff here.